View S from beside outside toilet across dig site, battling against the cold wind! 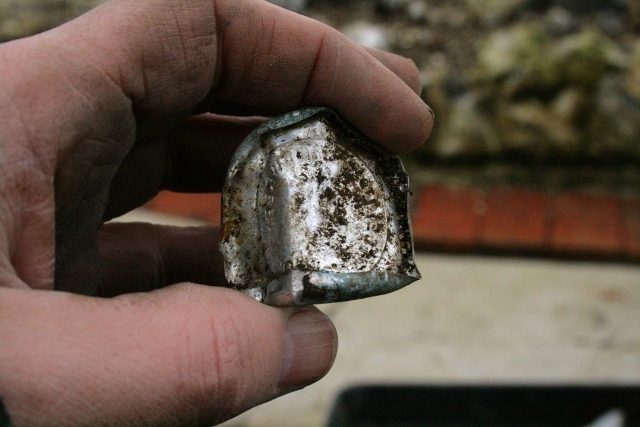 A cold blustery morning was spent looking for dating evidence for the outside toilet. 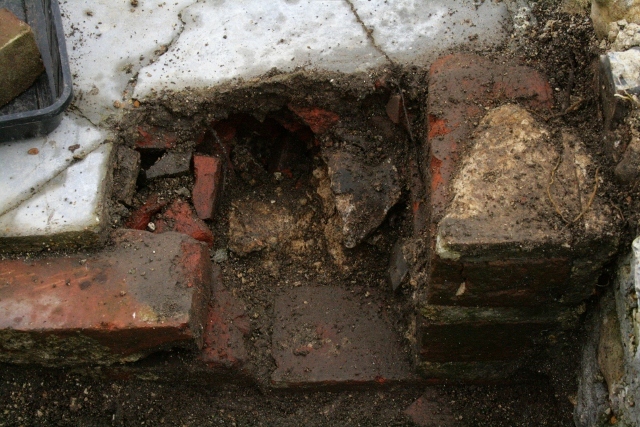 Some of the east side of the toilet wall was taken down to check for possible dateable bricks. All were unfrogged, so dated to about the time of the cottage’s construction in 1830, but they were often reused – as they were in the late 19th c. extension to the south of the cottage. 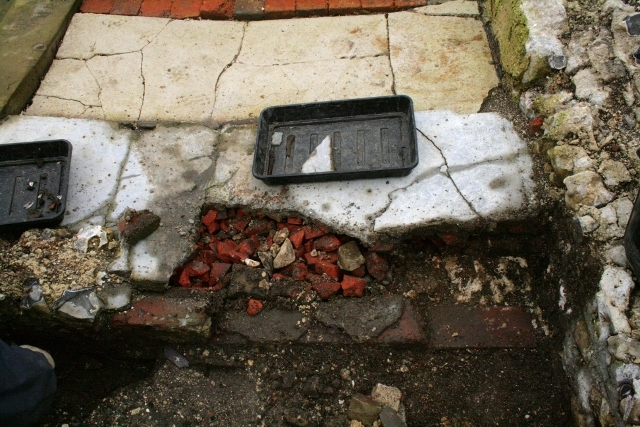 So part of the concrete floor, on which the bucket would have sat, was dug up. 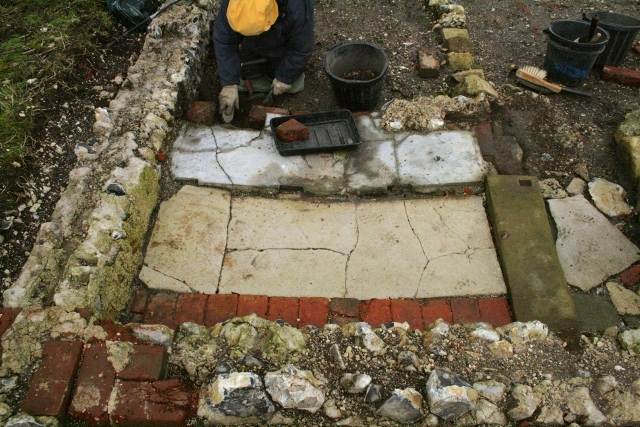 Underneath it was a mix of roughly graded (small fist sized) fragments of 3 thicknesses of terracotta floor tile and roughly shaped imported limestone masonry. This material may have been to act as a soak-away for any accidental spillages – but there were no obvious apertures in the floor to enable this to happen. 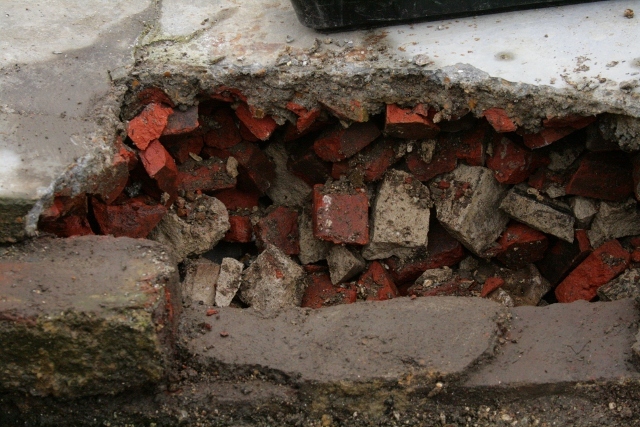 The rubble fill went down about three courses of bricks, before it changed to containing a wider range materials, including flint and smaller debris. This lower level was not excavated. The upper level, apart from one or two roots, was completely clean of soil or other introduced material. 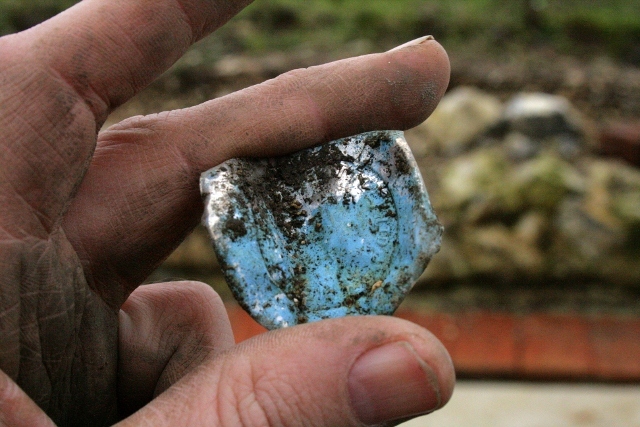 Finds were scarce; a short length of rusty wire, a nice light blue (cyan coloured) glass bead, and an aluminium foil milk bottle top. Careful cleaning may reveal the faintly embossed writing around its inner edge. Apparently such tops were first used to seal milk bottles in the UK in the early 1930’s. 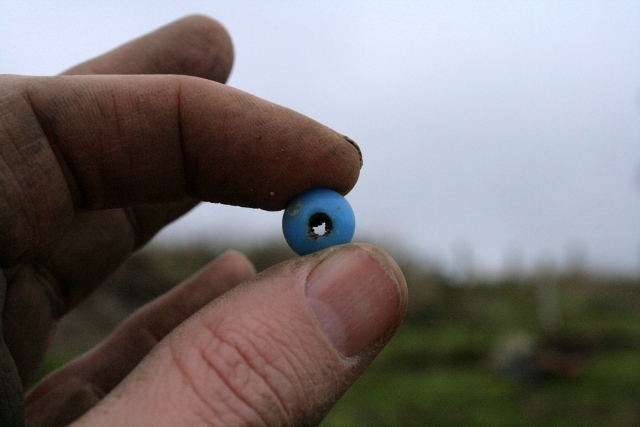 This date perfectly agrees with the map and oral history evidence we have for this particular structure. 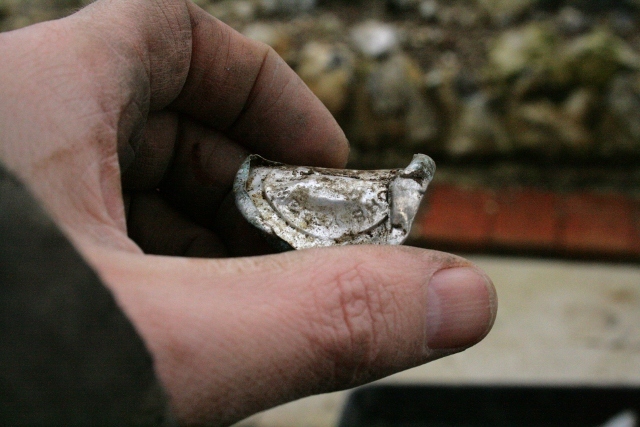 I love it when the archaeology agrees with historical sources! 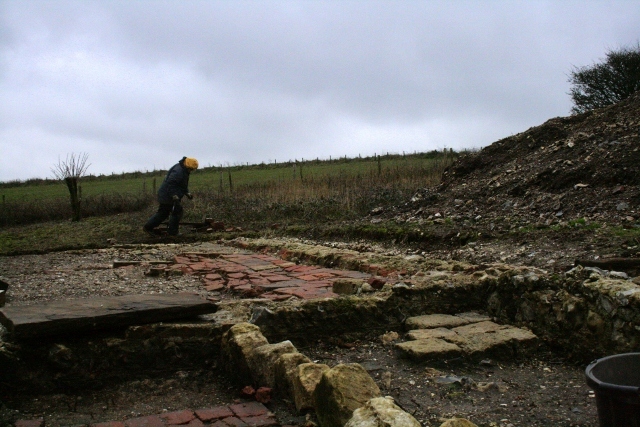 This Sunday is still intended to be our last official dig day – weather permitting. We plan to dig one (possibly two) small test pits to determine if there was a (backfilled) well or water-tank in front of the cottage. The backfilling of the trenches then happens (hopefully) during the following week. 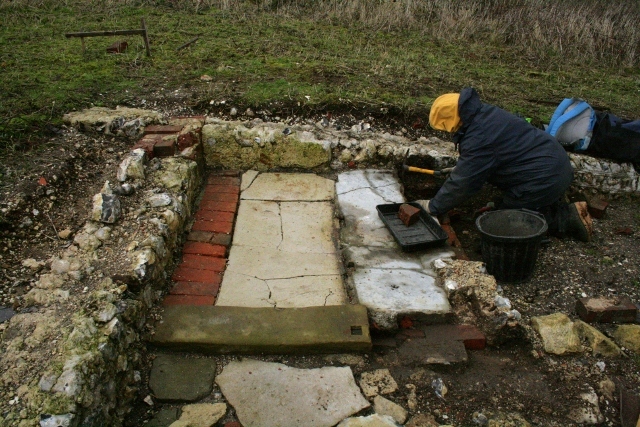 The Sunday following would be to landscape the backfilled site – including marking out in flint and brick the outline of the excavated cottage walls.